How can I contact ESMA? Further details are available in the Contact us page. 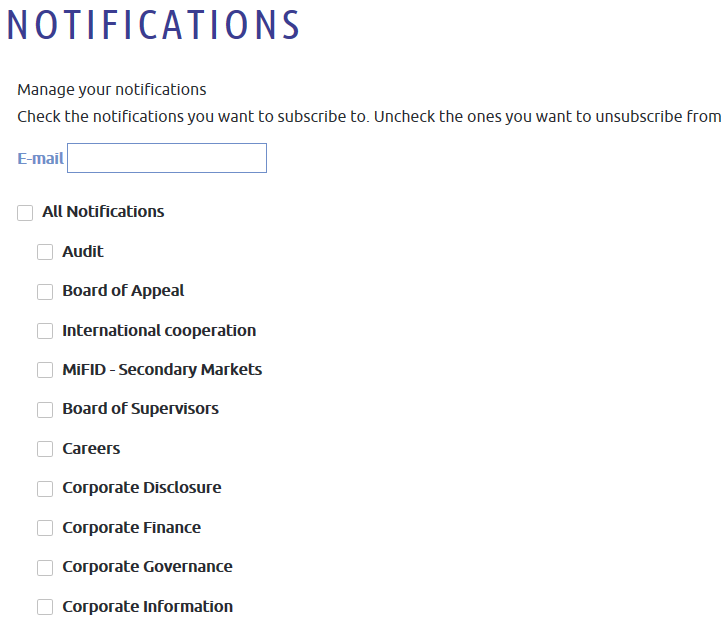 How can I register for notifications? 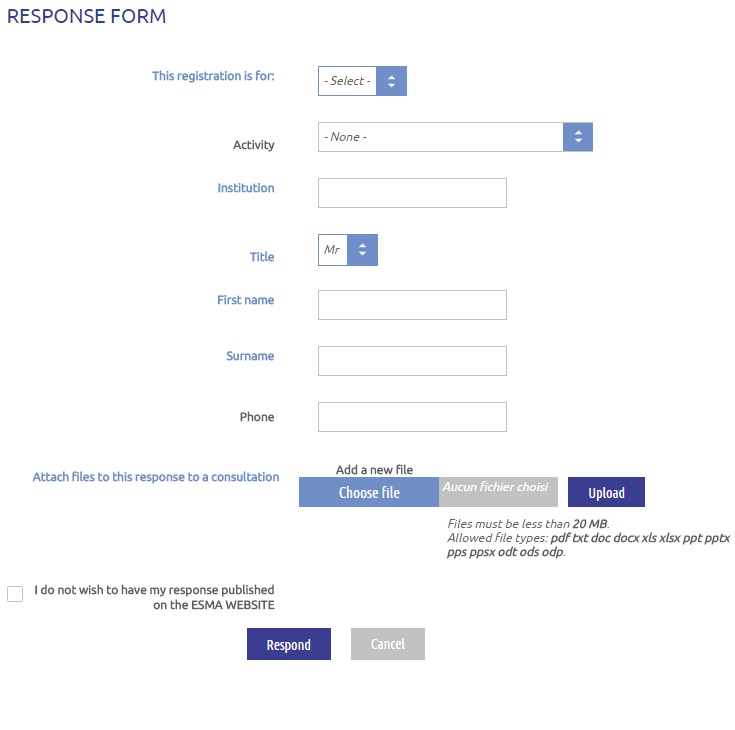 ​How can I register for a hearing? 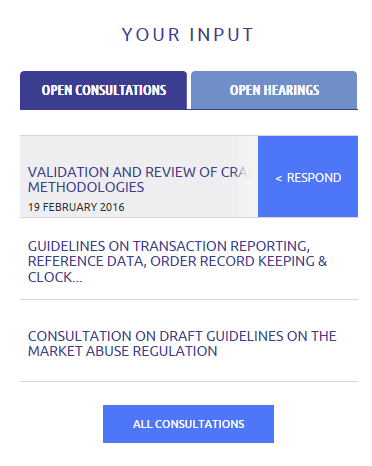 Please access the Hearings section to choose the hearing and click on "booking" to register. How can I respond to a consultation?